Today's rural poor operate in highly risky and uncertain environments. 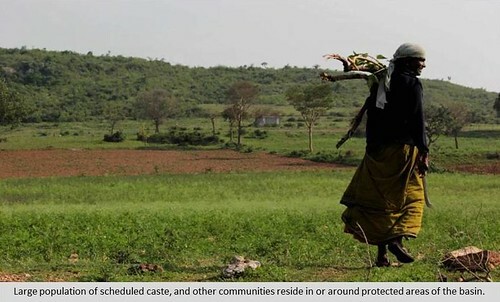 Grappling with multiple stresses like eroding natural resources, poor assets and increasing climate variability, they are constantly adjusting their lives and livelihoods--changing a crop grown, digging another well, or migrating to a nearby town. To understand how livelihoods are changing in semi-arid India and what this implies for people's vulnerability to current and future impacts of climate change, we visited the semi-arid regions of the Moyar Bhavani river basin in Tamil Nadu. Prathigna Ponacha and Tanvi Deshpande work on the CARIAA (Collaborative Adaptation Research Initiative in Africa and Asia) project at the Indian Institute for Human Settlements. This visit was part of an ongoing research under the Adaptation at Scale in Semi-arid Regions (ASSAR) project. The authors would like to acknowledge Divya Solomon, J Revathy, Shrinivas Badigar and R Venkitachalam from ATREE for facilitating the visit and providing the background information about the field sites, and Sumetee Pahwa Gajjar and Chandni Singh from IIHS for their inputs to this piece.